Social media is on a continuous upward trend, and more and more people are sharing their lives with the world. It’s now easier than ever to make a living just by posting your life on the web. Or maybe you don’t want to post your life on the web, you just want to share your talents (or your cat’s talents) with the whole world. Whatever your intentions, there’s some essential kit you’re going to need to get started. Here is list of some of the tech you need to get the ball rolling. In order to start filming, you’re going to need a camera. If you’re on a budget, the most obvious option is just to use the camera you have in your pocket, your smartphone. Modern smartphones can now produce excellent video (some film directors have even shot entire films on an iPhone). Using your phone does come with some limitations. For the convenience, you are sacrificing some features you find on higher end cameras, such as a large sensor to create that buttery background blur. On top of this, your audio options are also limited by shooting on your phone. This will particularly be a problem in windy conditions. A DSLR or mirrorless camera will give you the most flexibility when it comes to lens choice, audio options, and most importantly, achieving that “pro” look. Manual mode for greater control, as well as a full auto mode for simpler operation. Tilty/flippy screen allows you to rotate the screen so you can see what your filming from any angle. Audio input for external microphones. Bulky and won’t fit in a pocket. Outdated and autofocus not as good as most modern Canon cameras. 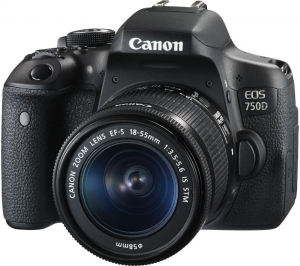 Similar to the 750D but in a smaller package. Can shoot up to 4K resolution video. Microphone input for external microphones. Same tilty/flippy screen as the 750D. Adapter needed for common Canon EF Lenses. Smaller battery has less capacity than the 750D. Easily fits in your pocket making it great for travelling. Excellent video quality, with a variety of options for flexibility. Ability to shoot super slow motion. 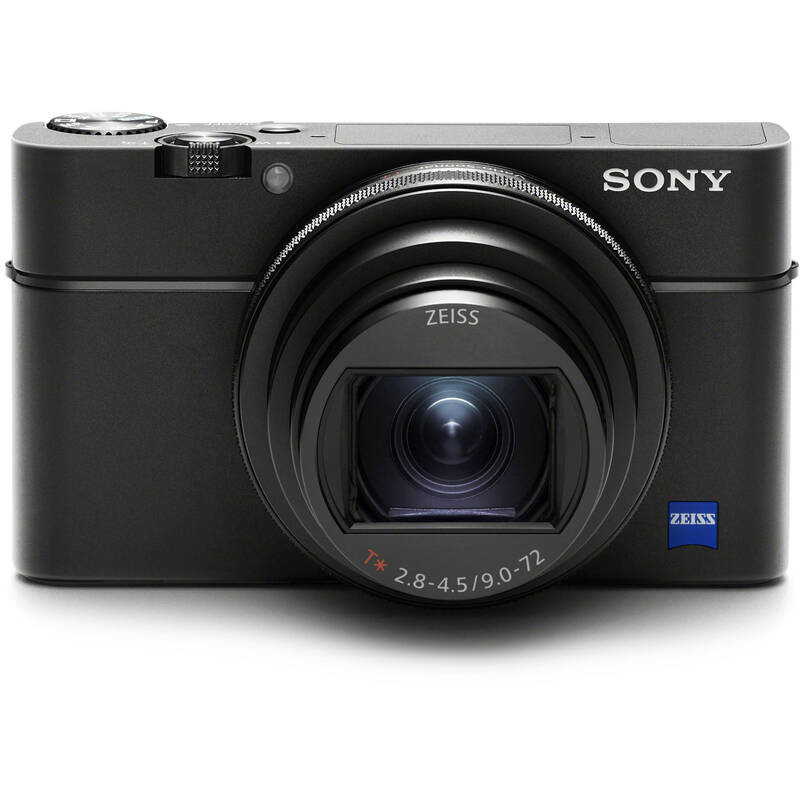 Massive zoom range from 24-200mm lets you get in close or pull away for group shots. Screen flips upwards for when you’re filming yourself. 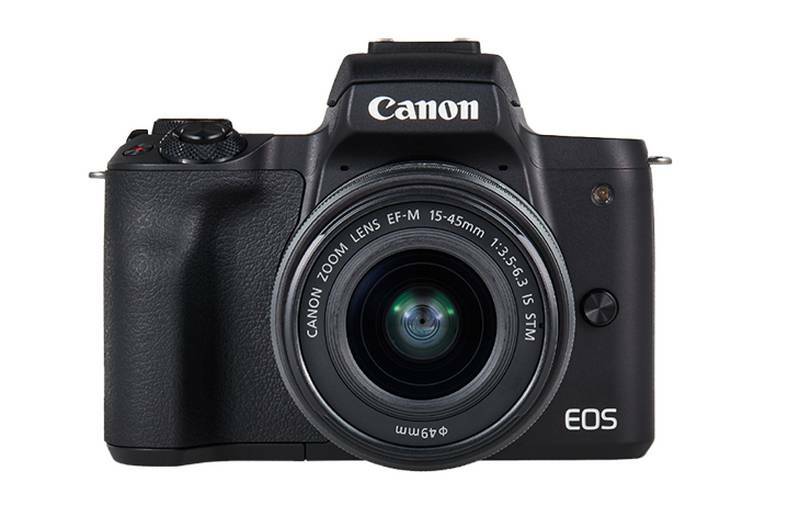 Close to double the price of the Canon counterparts. Complex menu system could be daunting for a first timer. These are just some ideas of what you can get at each price range. Whatever camera you decide to buy these days, it will probably be able to record good video. Arguably the most important yet often overlooked area of vlogging is audio quality. More often than not, viewers will sit through something with bad video quality, but good audio quality. Rarely will someone watch something the other way around. You could film something on a top of the line cinema camera, but if your audio is bad, the chances are, your audience won’t be interested. If your camera has the option to plug in an external microphone, anything you buy will probably be better than the microphones built into the camera. 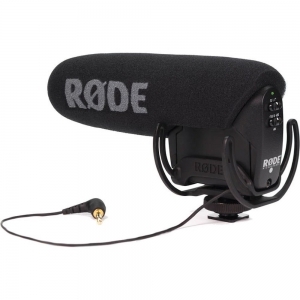 This lightweight microphone plugs in via 3.5mm audio jack to the cameras microphone port. 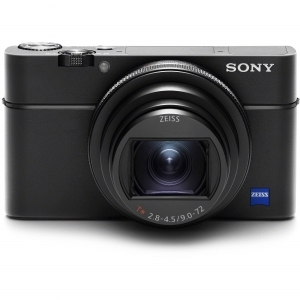 Its sub-£50 and doesn’t require batteries as its powered through the camera. Just ensure your camera has a hot shoe mount, hook it up, plug it in, and you’re good to go. Unfortunatelythis microphone doesn’t feature any on-mic gain controls, meaning it’s up to your camera to make sure the audio is the correct volume and isn’t clipping. 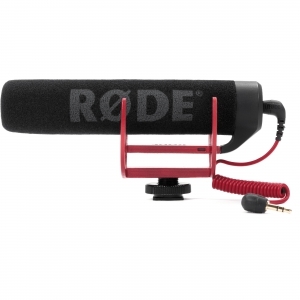 Well over double the price of the VideoMic Go, this microphone will produce more professional sounding audio, while remaining compact in size. It features gain controls giving you greater control over the audio levels. Similar to the RODE VideoMic Go, the PRO sits on your cameras hot shoe mount and connects via the 3.5mm audio jack. Unlike the Go, this microphone requires power from an internal 9V battery. It does promise over 70 hours of life from a single battery though, so you shouldn’t ever be caught short. If you’re wanting to get in real close with the mic, a good option is the Rode SmartLav. 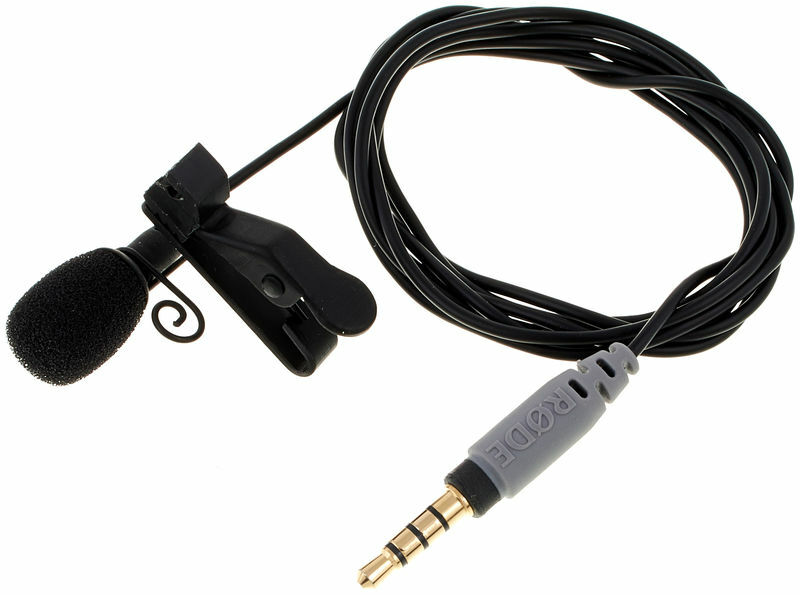 A lavalier microphone is a small clippy microphone, like what you might see newscasters wearing. It simply clips to your shirt. Usually lavs are plugged into a wireless transmitter to the camera, but the SmartLav can be connected to your smartphone and recorded that way. Neat! Whilst it can record closer, potentially cleaner audio of your voice, it does mean that you have to sync the audio in post. Not hard, but an extra step which could slow you down. Editing software is rather important as it allows you to cut out all the times you trip over your words and gets you closer to a professional looking video. Editing suites usually comes down to preference, but you’ll get the best results if you pick one, learn it, and stick with it. 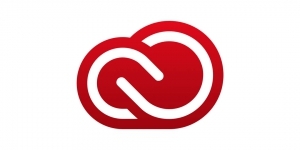 Adobe Creative Cloud is a subscription service and gives you access to the full Adobe software suite, such as Premiere, After Effects, Photoshop, Lightroom and more.  It’s a little on the pricey side at a little over £16 per month for students, however, you’re getting the full package, as well as mobile apps for light editing on your smartphone (handy for other social media platforms too such as Instagram). Hitfilm Express is a free editing software as is a good option for a complete beginner. It will let you dip your toes in professional editing, before graduation to the big boys, such as Hitfilm Pro, or another alternative. It may be free, but Hitfilm Express is no slouch. It still contains all the fundamental tools to create professional videos, and is chock full of effects, as well as the ability to do compositing and colour grading. So that’s the essential kit to get you started, the rest is on you to get out there and get creative. Find your niche and the audience will come. Other kit you may consider purchasing further down the line really depends on what you’re creating. It can never hurt to have some lighting. Lighting your scene will quickly take you from amateur to pro. A tripod is always useful, but if you’re vlogging, it could be worth getting a Joby Gorillapod. This can serve as both a selfie handle, and a tripod. Now go make something good!